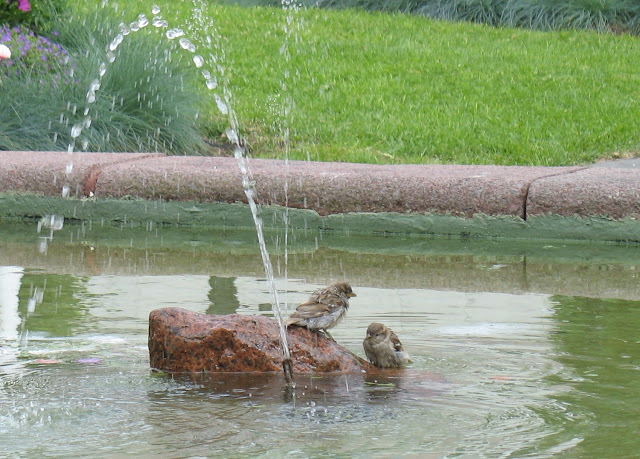 From the archive: Two house sparrows, having a bath in a public water feature. Sandefjord, Norway, on July 23, 2010. Canon PowerShot A620, ISO 50, 29mm, f/4.1, 1/200.